This title provides an examination of the law on compensation for administrative wrongdoing from a comparative law perspective. Particular account is taken of the increasing influence of human rights law, European Community law and international law. It is the outcome of a research programme at the British Institute of International and Comparative Law, with contributions from a number of events including the UKNCCL BIICL Colloquium on the liability of public authorities held in London in 2001. The collection offers detailed and up-to-date insights into a current and controversial topic. Contributions from senior judges, leading practitioners, and academics covering recent developments in many jurisdictions including the United States, New Zealand, France, Germany, Italy, Israel, the Netherlands, Greece, England, and Scotland. 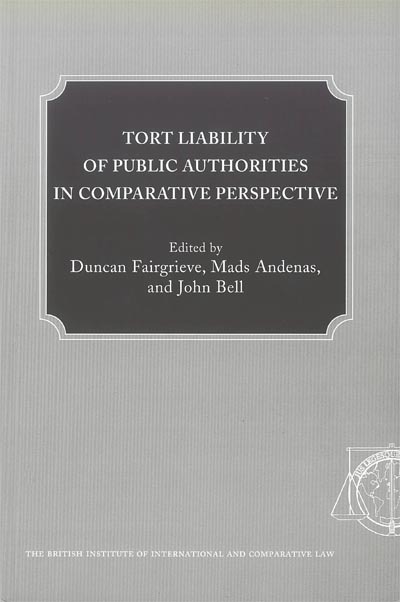 "Tort Liability of Public Authorities Comparative Perspective"